This is part one of six essays documenting what we have learned about building new networks for local news and fostering more creative, sustainable and community-driven journalism. Read part two, part three, part four, part five and part six. Five years ago, the Geraldine R. Dodge Foundation launched a new program area focused on creating a more sustainable, connected and collaborative news ecosystem in New Jersey. The goal of this work was not to save journalism, but to build a more diverse and vibrant public square that could strengthen New Jersey communities and foster more informed and engaged citizens. Inspired by the power and creativity of networks, we wanted to catalyze new kinds of journalism that put communities and collaboration at the center of their work. With dramatic shifts in the journalism landscape, people across New Jersey were rapidly losing access to local news and information. We recognized that we needed to both help longstanding institutions transform and cultivate new models. The strength and resilience of this new civic sphere will rest on the connections and relationships we build between these experiments, institutions, people and places. The John S. and James L. Knight Foundation was an early partner in that work, helping fund the creation of the Center for Cooperative Media and the NJ News Commons at Montclair State University, which acts as a hub of support and services for journalists across the state. Knight also supported the launch of New Jersey Public Radio and NJ Spotlight, a statewide nonprofit newsroom. In 2014, the Knight Foundation significantly deepened its commitment to New Jersey, helping Dodge establish the Local News Lab to foster creative experiments in revenue sustainability, community engagement and newsroom collaboration. The Lab works with partners in newsrooms across the state, and at universities and foundations across the country, to pilot new business strategies designed to support local news and meet community needs. Once the Lab was created, Knight was joined by other funding partners who saw New Jersey as an important proving ground for new ideas in local news. the Democracy Fund has been a substantial partner, co-funding groundbreaking research and community engagement projects in the state. Other foundations have also contributed in important ways, and we will discuss those partnerships in more detail later. The Local News Lab is one part of Dodge’s multi-pronged strategy to strengthen and expand newsrooms and nonprofits that use journalism and community building to foster more informed communities. In the last five years Dodge also has invested more than $3.25 million to support local news and information in New Jersey, including cutting edge experiments with community media and longstanding public and nonprofit newsrooms such as New Jersey Public Radio and New Jersey Public Television. Rather than funding specific content, however, our approach has been to build an infrastructure of lasting value — i.e. the support systems, services and networks necessary to help news organizations strengthen their businesses, explore new technology, and experiment with community engagement. We want to change the relationship between newsrooms and communities in ways that rebuild trust, improve journalism, and develop new avenues for local news organizations to become financially and creatively robust. As with any big experiment, we’ve seen some important wins and run up against some very real challenges. But we knew that this work was never going to be a simple upward trajectory, and so we built this entire effort around experimentation, reflection and iteration. This report captures some of the early lessons from our work. At the micro level, for the six local for-profit newsrooms that signed on as the original cohort of partners in the Local News Lab, the year has been full of exciting discoveries and some big changes. At the macro level, things have been slower, but we’ve learned a lot about what it takes to strengthen and support local news networks, which is rooted in long-haul relationship building. Developing new skills in newsrooms and building new kinds of relationships between journalists and communities requires substantial culture change. What follows is a snapshot of the Local News Lab’s work thus far, based on data and assessment from ORS Impact, an outside evaluation team that Knight hired to work with us, as well as interviews with our partner sites, and observations we have made along the way. To date, all partner newsrooms have seen an increase in traffic, engagement and revenue, and have developed at least one additional revenue stream, thereby improving their financial outlook and their ability to serve their communities. Two partner newsrooms ran crowdfunding campaigns raising nearly $45,000 from more than 300 donors, helping to prove that crowdfunding can be a viable revenue source for local newsrooms as well as an important opportunity to deepen relationships with supporters and build feedback loops into their work. With partner news sites receiving more than 1000 hours of coaching and mentoring over the past 18 months, we have gained valuable insight into how to strengthen organizations through hands-on support. This knowledge is broadly applicable for local for-profit and nonprofit newsrooms as the field seeks to understand what sustainability and culture change encompasses. As a result of a newly-created legal guide from Rutgers University Law School which we funded, small news organizations (often unable to afford a lawyer) are better equipped to address legal questions and issues, particularly questions that are specific to New Jersey. This guide could be replicated to serve news organizations in other states with legal information that is tailored to each of those states. Residents are receiving coverage they either had lost or didn’t previously have as a result of new sites being launched within the New Jersey ecosystem and supported primarily through services and training hosted by the Center for Cooperative Media at Montclair State University. This is helping to reverse New Jersey’s sparsely populated local news landscape. Because of public forums hosted by Free Press and Media Mobilizing Project, community members in New Brunswick and Atlantic City had their voices heard by local authorities and journalists about issues they care about, helped generate new story ideas for local journalists, and met other people in their communities they might not have known. The forums are helping to lay the foundation for communities to trust and support their local news outlets. Moreover, pilots of both Hearken and the Listening Post in New Jersey are expanding the public’s ability to speak up about the challenges and concerns they have, which, in turn, helps local journalism be more relevant, responsive and valuable to people’s lives. Through the Center for Investigative Reporting’s “Dirty Little Secrets” project focusing on the state’s toxic legacy, the New Jersey public benefits from expanded and comprehensive investigative reporting on an underreported topic. This first-of-its-kind large-scale collaboration includes New Jersey Public Radio/WNYC, WHYY, NJTV, NJ Spotlight, Jersey Shore Hurricane News, WBGO, New Brunswick Today and the Rutgers Department of Journalism and Media Studies. The Center for Cooperative Media at Montclair State is helping CIR facilitate the project. At the same time, New America Media’s effort to bolster ethnic media networks throughout the state is beginning to strengthen their economic viability and enable cross-cultural editorial collaboration. This groundwork will lead to more inclusive local news and increased cultural awareness throughout New Jersey. The Local News Lab staff have documented lessons and experiments, shared potential models, created evergreen resources and highlighted opportunities and obstacles to benefit New Jersey as well local newsrooms across the country through more than 100 blog posts, numerous presentations and interviews, and a weekly newsletter which currently goes out to nearly 2000 people. This is part one of six essays documenting what we have learned about building new networks for local news and fostering more creative, sustainable and community driven journalism. In the next essay we’ll discuss our strategy for building more sustainable business models for local news. Read part two, part three, part four, part five and part six. 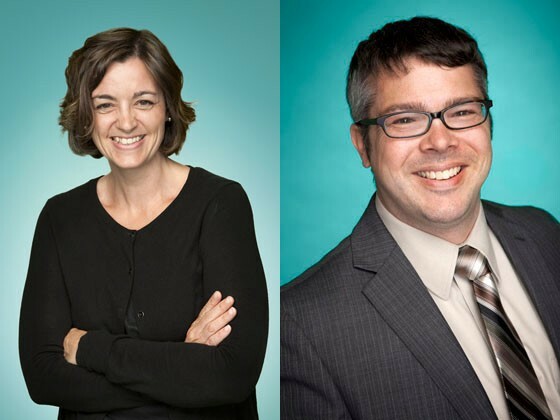 Molly de Aguiar (@MollydeAguiar) is the Informed Communities Program Director and Josh Stearns (@jcstearns) is the Director of the Journalism Sustainability project at the Geraldine R. Dodge Foundation. The Dodge Foundation’s Informed Communities grants seek to strengthen and grow the New Jersey news ecosystem and support local journalism as a critical space for innovation, creativity and community building. For more information on this work, visit the Local News Lab and the Dodge Foundation’s website. Sign up for the Local Fix weekly newsletter here. The Local News Lab is dedicated to creative experiments in journalism sustainability and community engagement. Welcome to the Engaged Journalism Lab, a project of Democracy Fund. Here you'll find blog posts, case studies, event recaps, and more ― all centered around building trusted, inclusive, and audience-driven journalism.